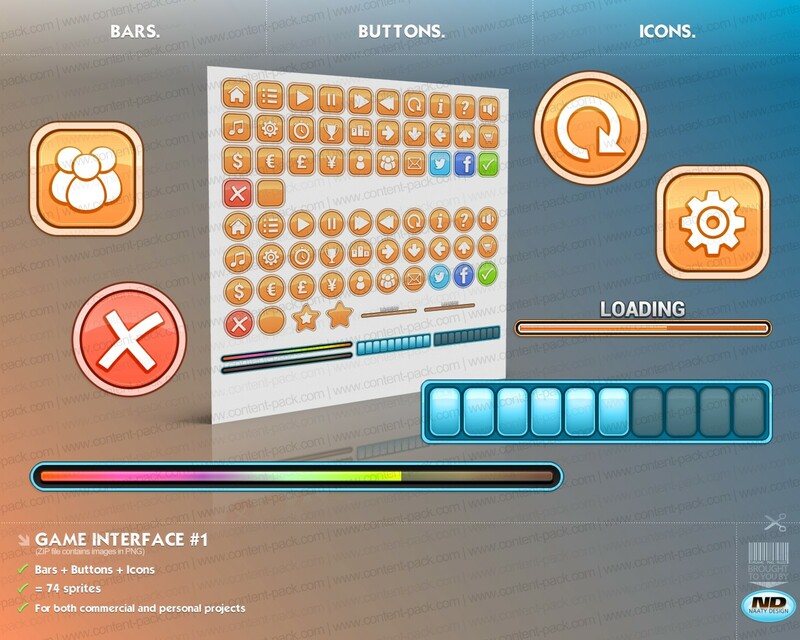 Everything you need to set up a full menu from the loading bar to the buttons. This pack has been designed for high resolutions and looks crisp and clean on Retina displays. .zip archive contains 1 file in .png format featuring 74 sprites (one 2048×2048 Sprite Sheet). Speed up your project(s) with polished game art! Partager la publication "Game Interface volume 1"